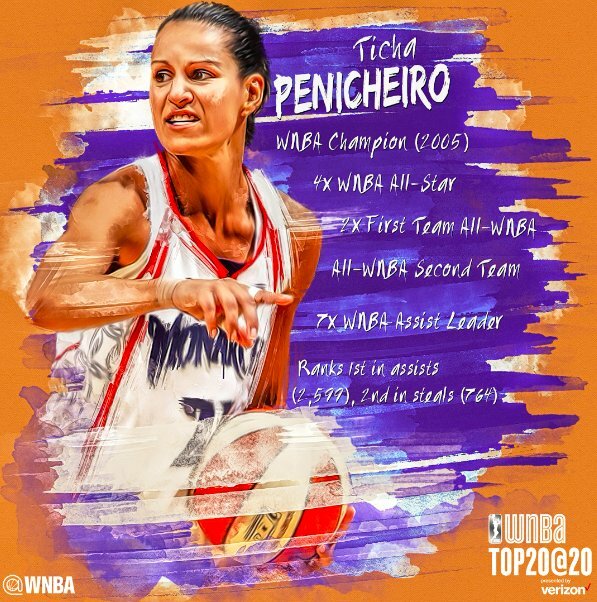 To celebrate the WNBA's twentieth season, the league has today named it's Top 20 Greatest players. I am happy to report that that list includes our own Yolanda Griffith and Ticha Penicheiro! Congrats, ladies. And thanks Slim for posting. If you're on Twitter, please consider hitting Yo and Ticha up (@Yo_Yo33, @TichaPenicheiro) to extend congratulations.